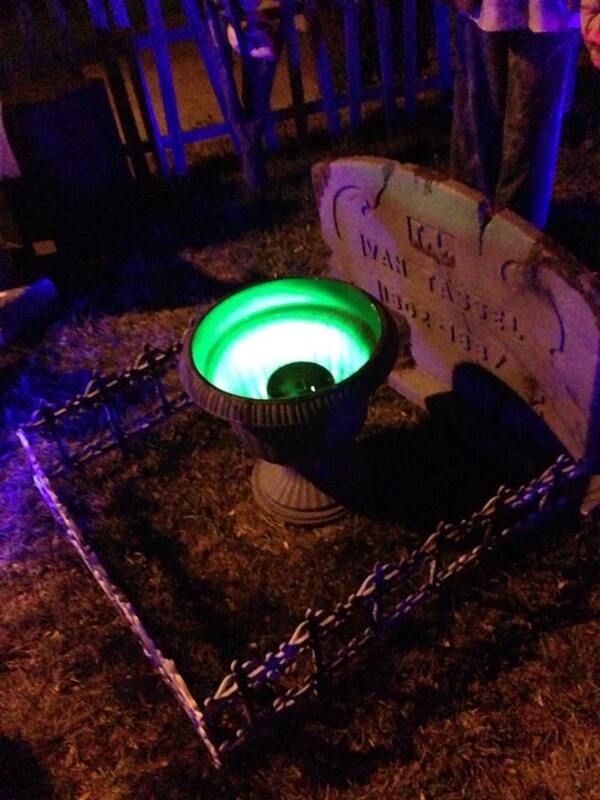 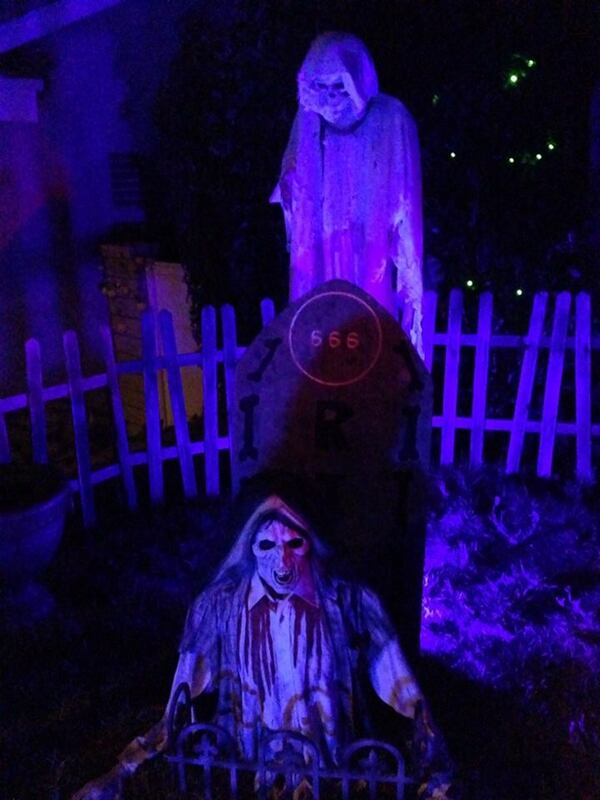 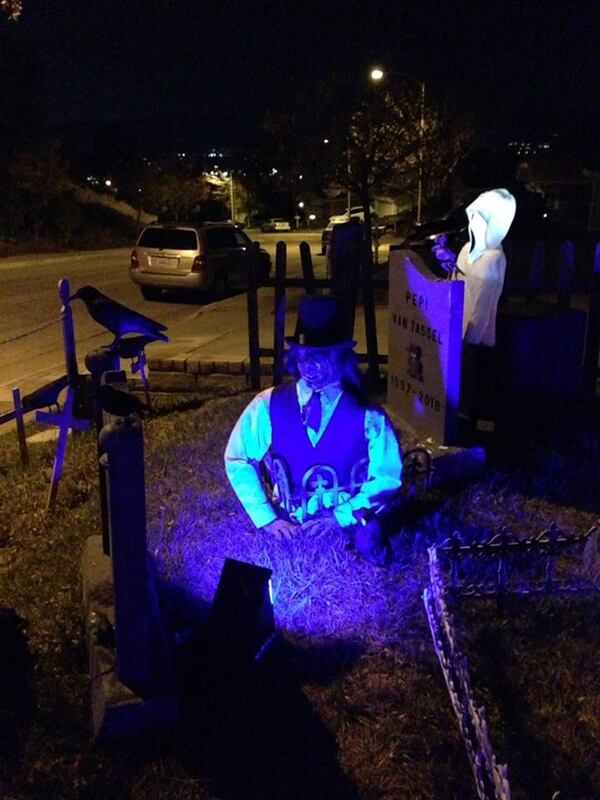 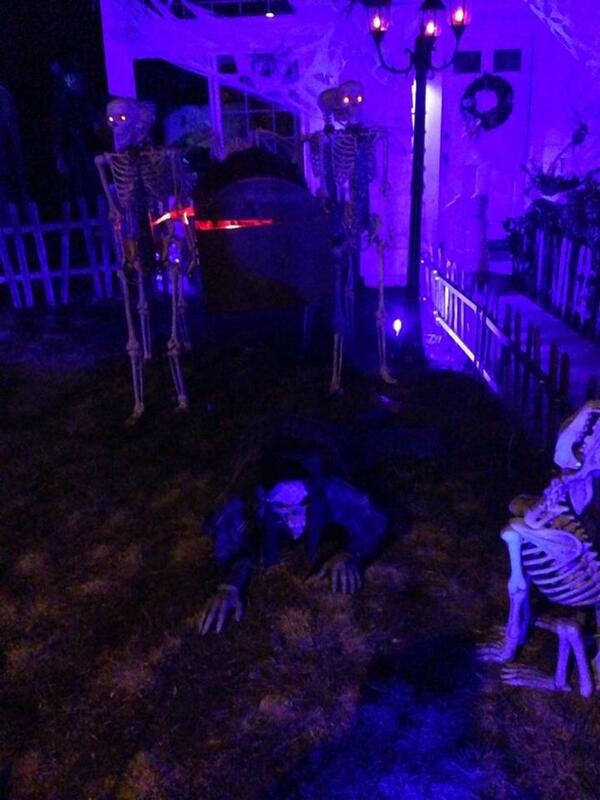 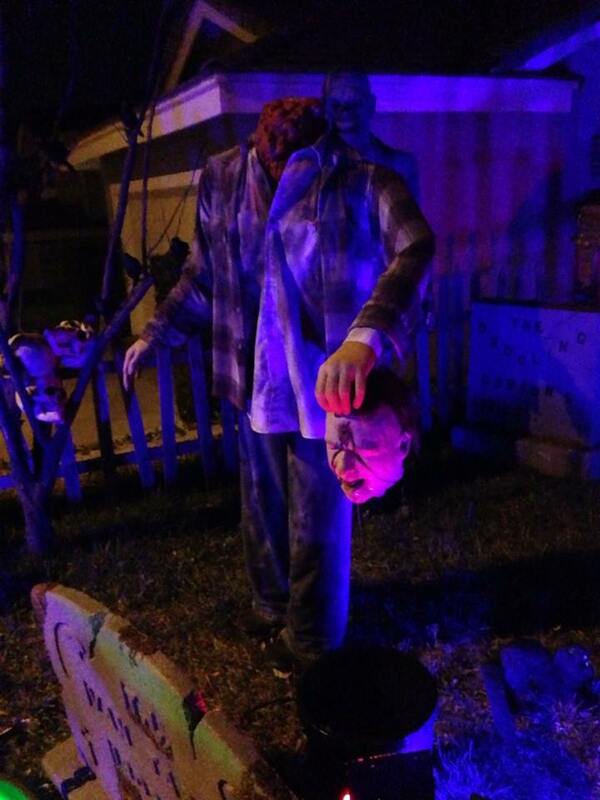 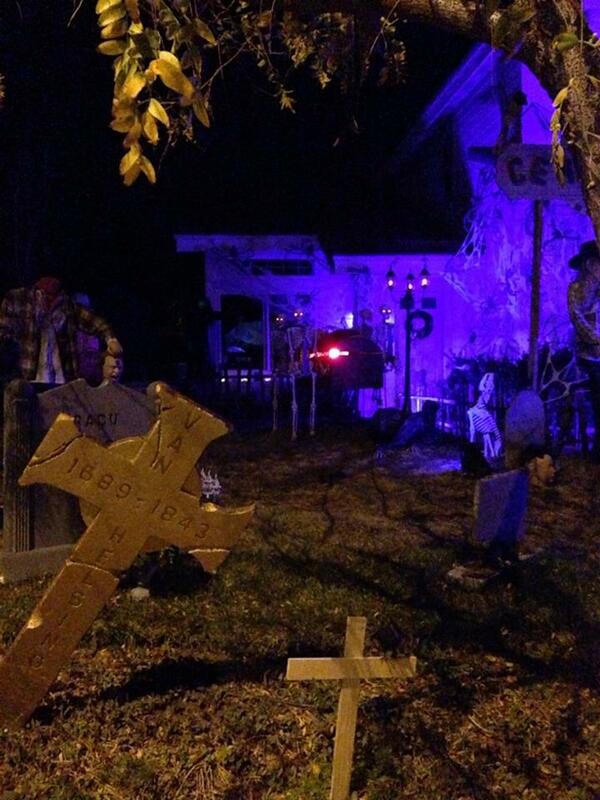 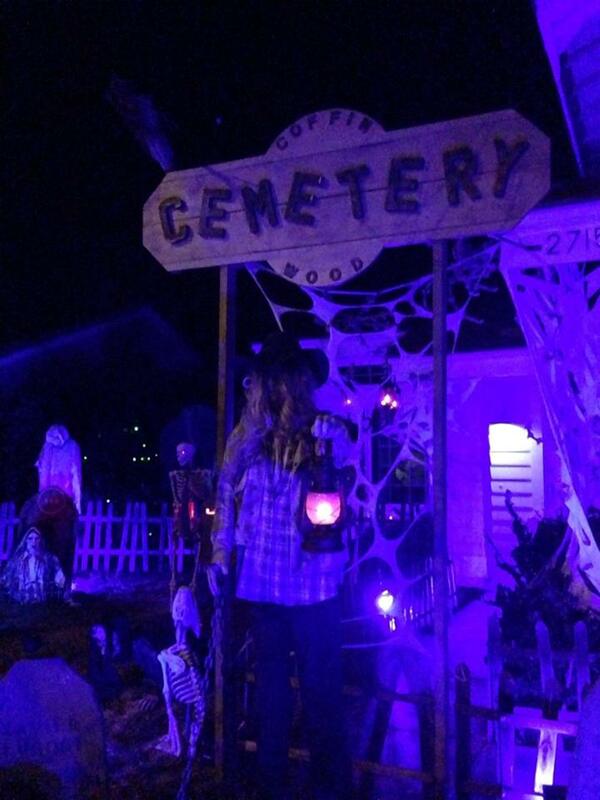 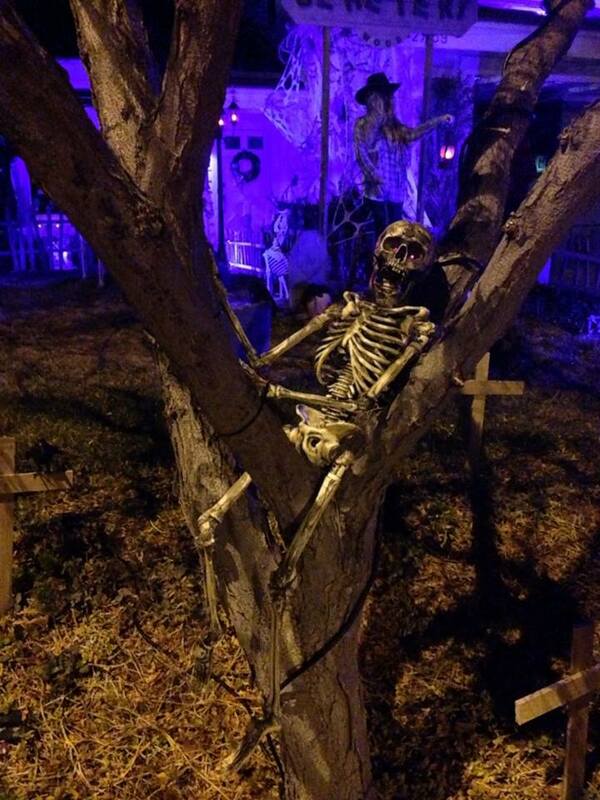 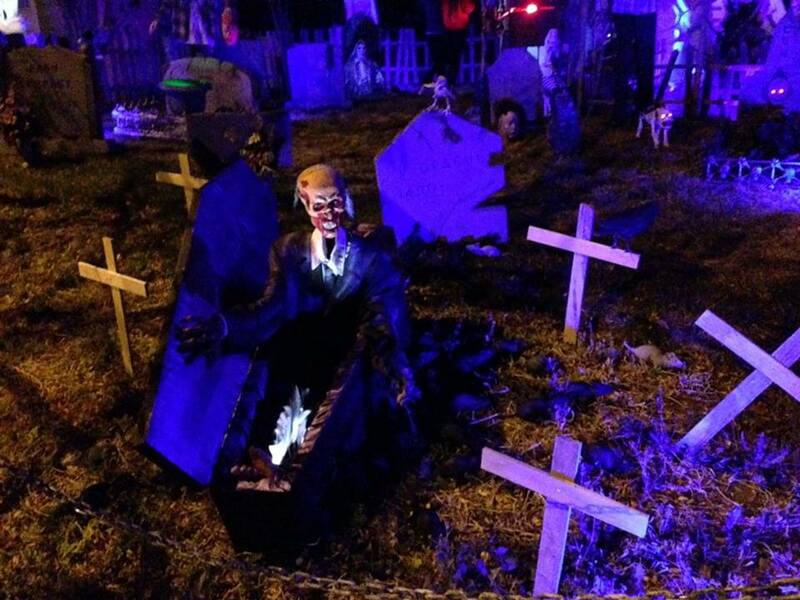 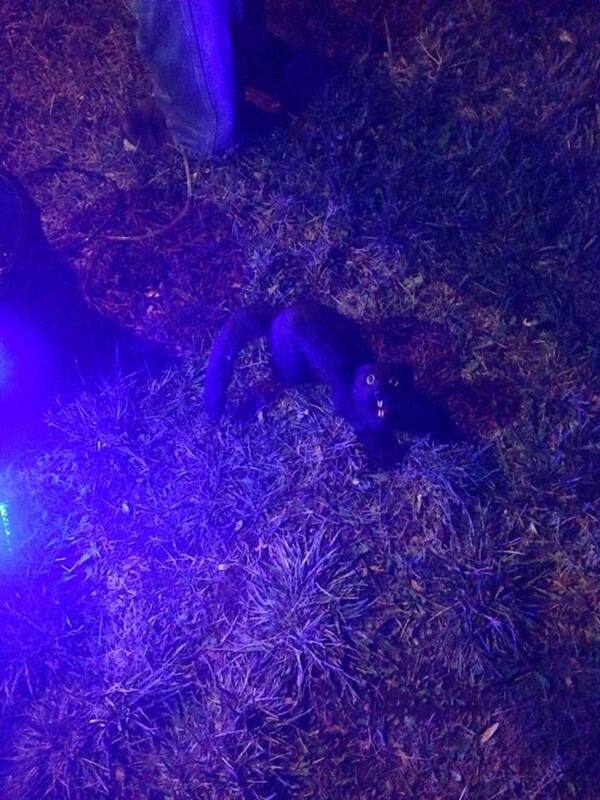 Coffinwood Cemetery is a combination of Halloween yard display and short walk-through. 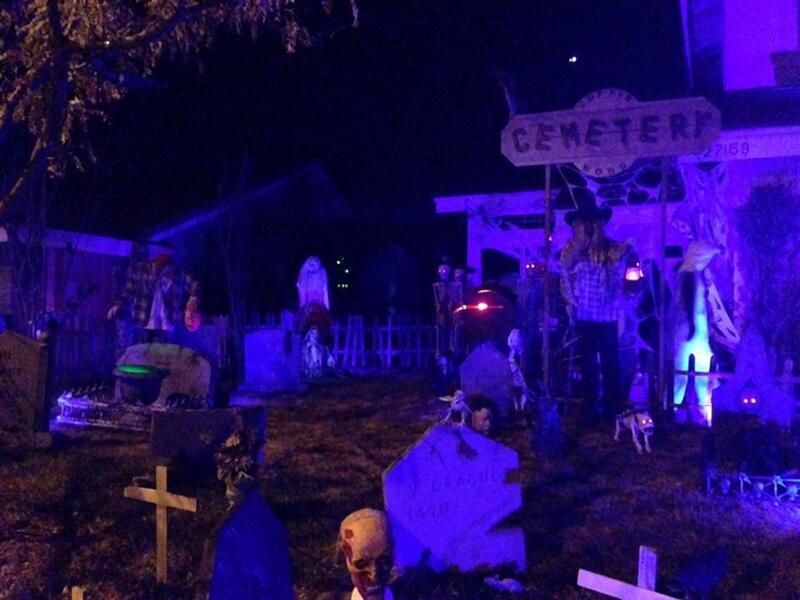 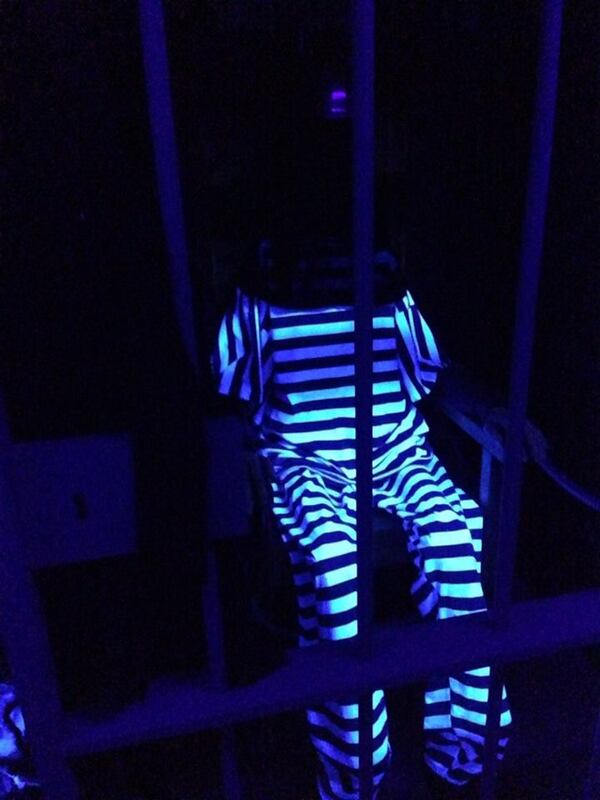 Not exactly a maze, it offers a path through the front yard so that you can peruse the tombstones, skeletons, and ghouls (all home made except for the animatronics) before heading into a "mausoleum" - a convincing facade built over the garage, which leads to a single black-lit room with decorations and an electric chair. 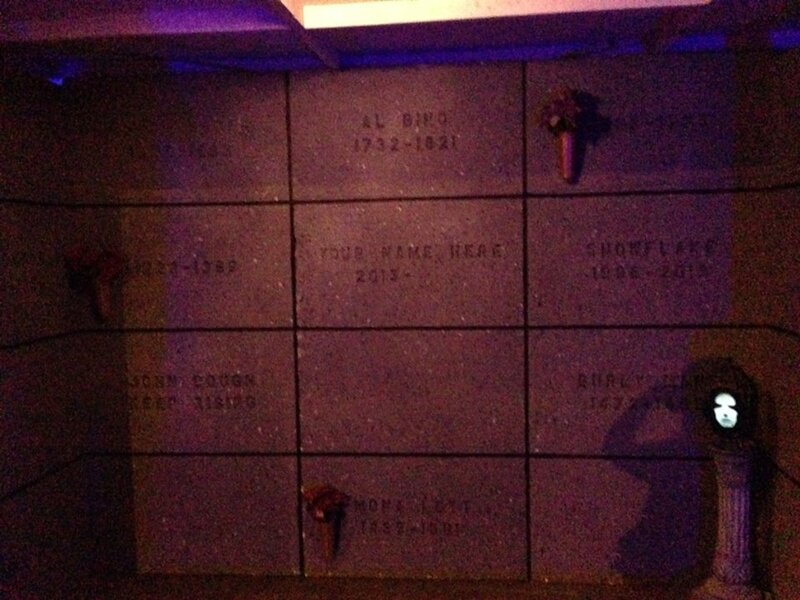 The haunt runs a few days toward the end of October, including Halloween Night, beginning with a non-scare preview (no live monsters) on the first evening. 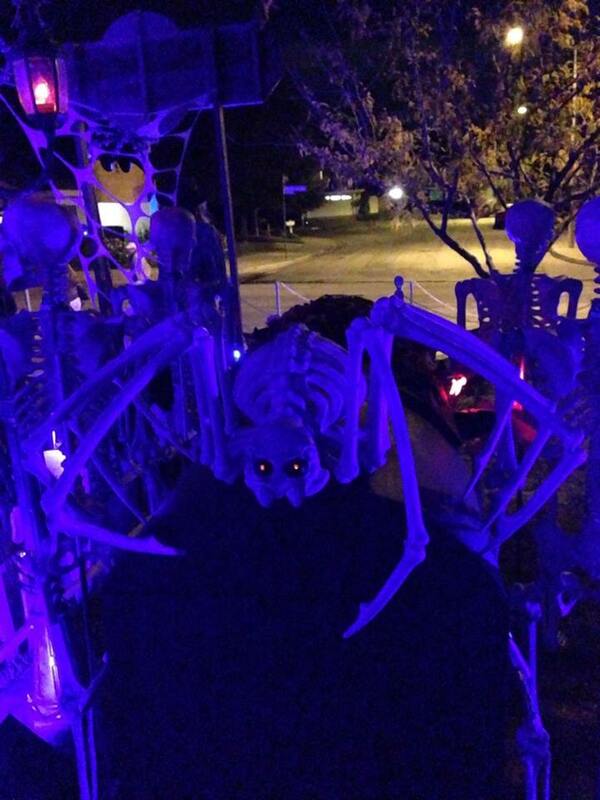 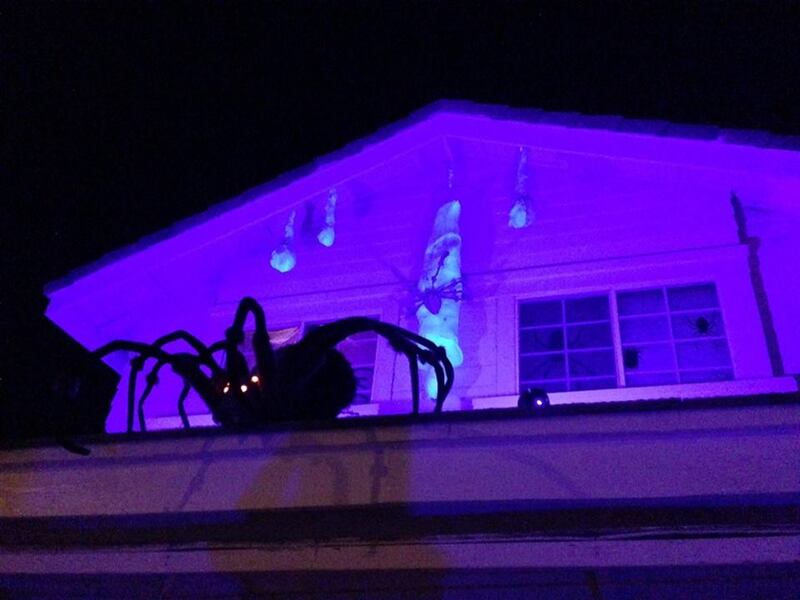 Even without jump-scares, this home haunt is worth visiting just for the display, which also includes a giant spider atop the roof. 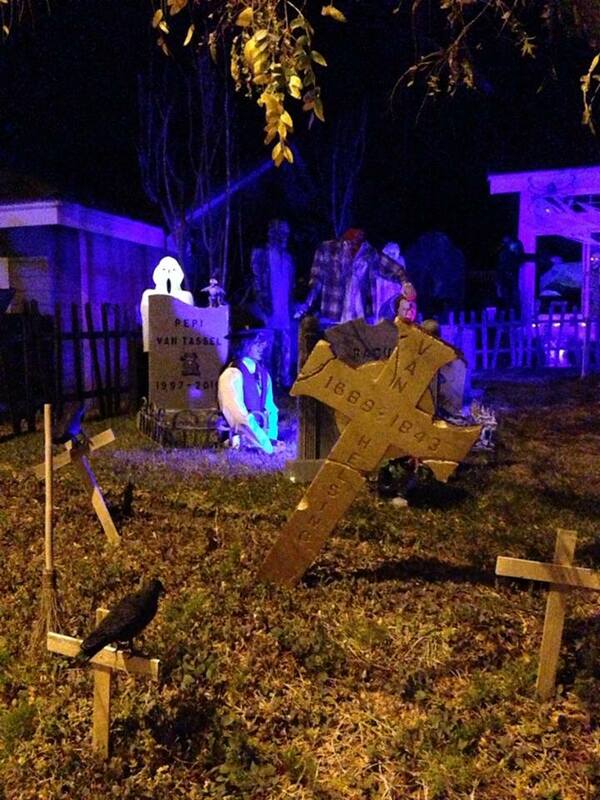 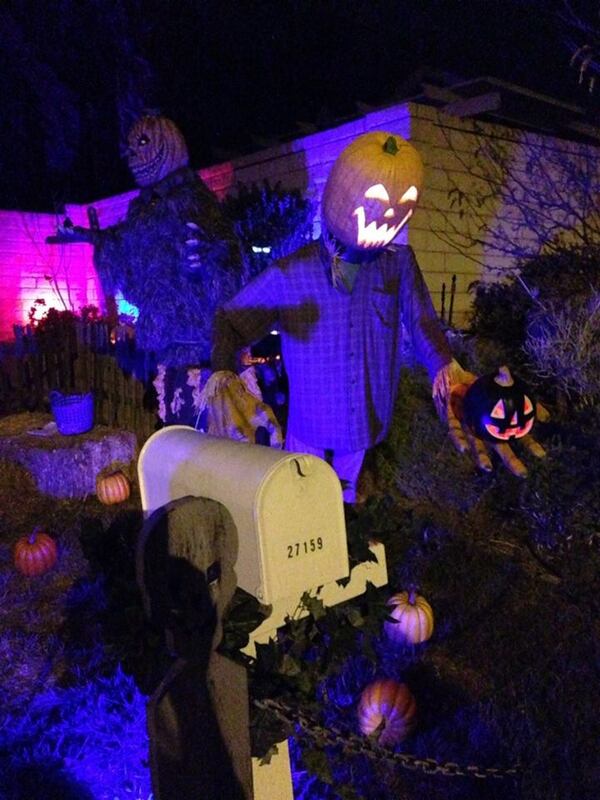 Impressive yard display with mostly homemade decorations and a short walk-through.